Dr. Alfred T. Collette (1922- 2014) served as director of the Syracuse University Art Collection for over thirty years. Over his tenure the collection grew to more than 30,000 objects and became an active educational resource used by faculty and students from multiple disciplines. 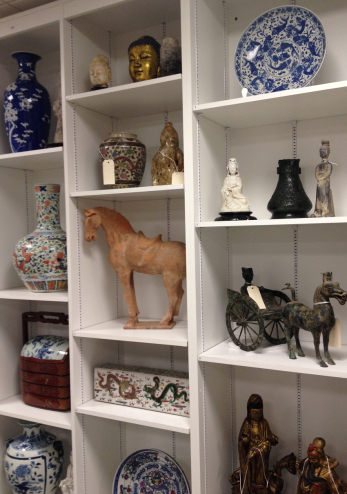 Dr. Collette was a passionate collector, especially interested in European and Asian art. He acquired a diverse collection of two and three dimensional objects, including paintings, graphics, and ceramics. 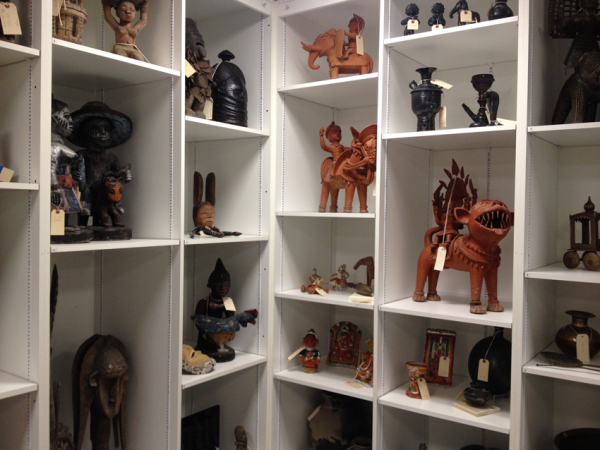 The ethnographic collections account for a significant percentage of the Syracuse University Art Collection. 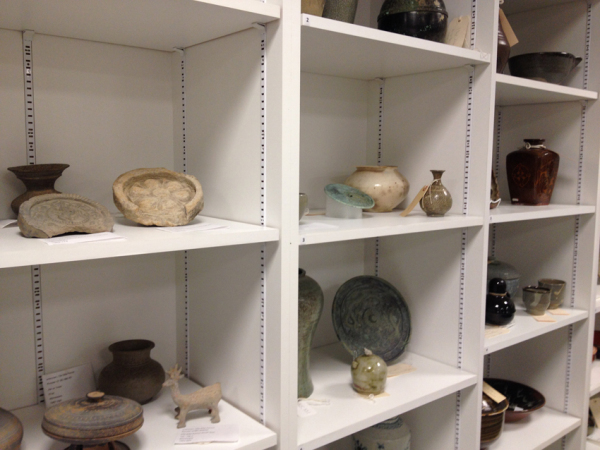 This room, designed as an open storage gallery, enables large numbers of objects from several cultures to be exhibited and accessable for investigation and study. 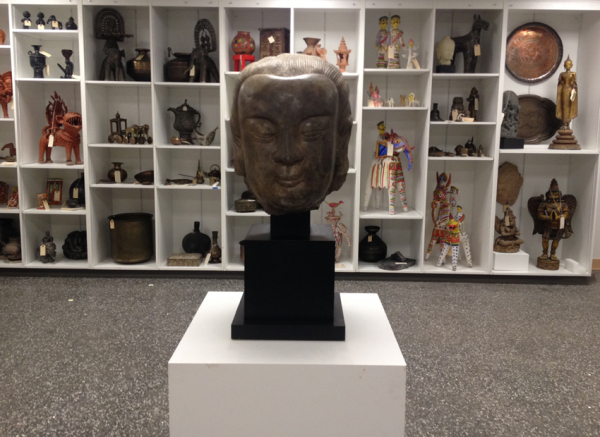 This gallery displays art from western Africa that has either ceremonial significance or was used in daily life. Additional objects illustrate Chinese, Korean, and Japanese ceramics as well as Indian ceramics and metalware that have similar function. 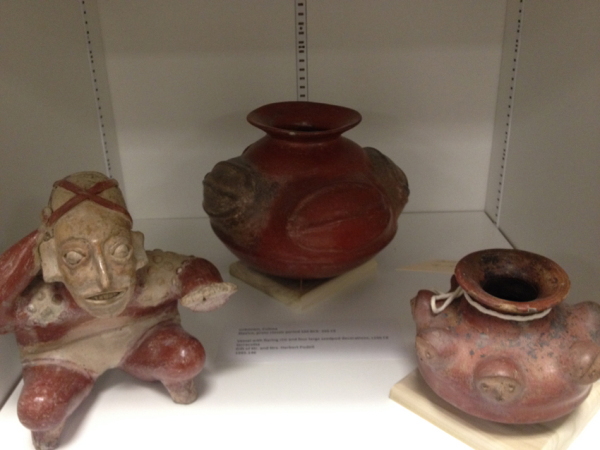 Ceremonial and utilitarian artifacts from Pre-Columbian Mexico, Central and South America are also on display.